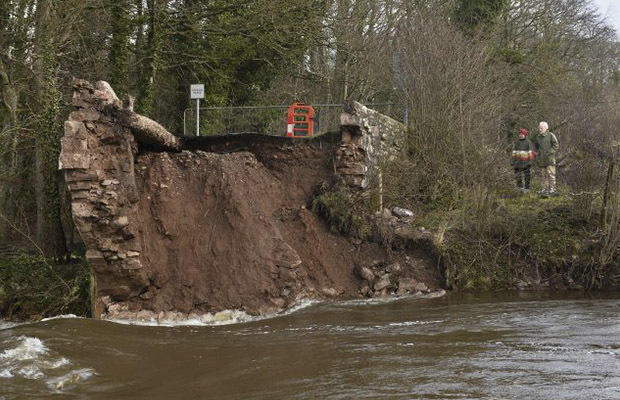 The Bell Bridge reconstruction project that Story’s Construction division is delivering for Cumbria County Council as part of a major flood recovery work bank, reached a milestone last Thursday (30th March) when planning permission was granted for the erection of the new bridge. The new bridge will comprise of curved weathering steel beams with masonry clad reinforced concrete abutments and parapet walls. A lot of detail was required for planning permission to be granted, including ecology and heritage surveys, flood risk assessments, planting schemes and construction methodology. The detailed design is nearing completion which will allow us to finalise the award of the Stage 2 construction package. Electricity North West are working hard to get the necessary approvals to divert their overhead cables, which will hopefully allow work to commence on site in June. Thanks to our design partner Capita for all the hard work necessary to achieve this important milestone.